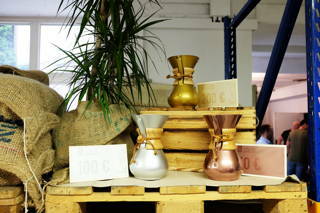 Last year, we created the Chemex Cup that is all about coffee and one of our favourit coffeemakers. You missed it? Then make sure to be a part of it this year. 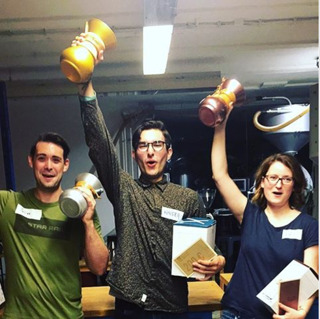 Take your chance and show us and the jury your brewing skills by competing against 11 other participants. 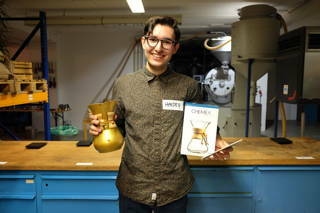 The lucky winner will save one of the glorious Chemex trophies and a special price. Update: Registration is closed. 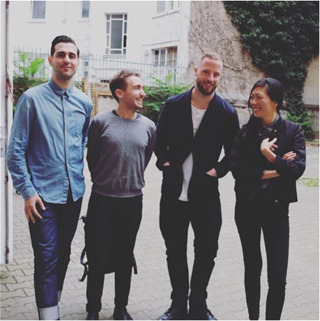 This event is part of the Berlin Coffee Festival. We can’t think of a better start for this festival than to celebrate with coffee in our roastery. No worries, there won’t only be coffee available though. We got you covered with brilliant music, a fine selection of local beer from Berlin and delicious snacks. When? 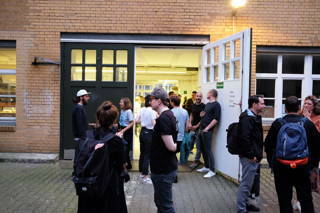 Friday, 31.08.2018, 6 p.m.
Roasting Workshop | Update: Sold out! 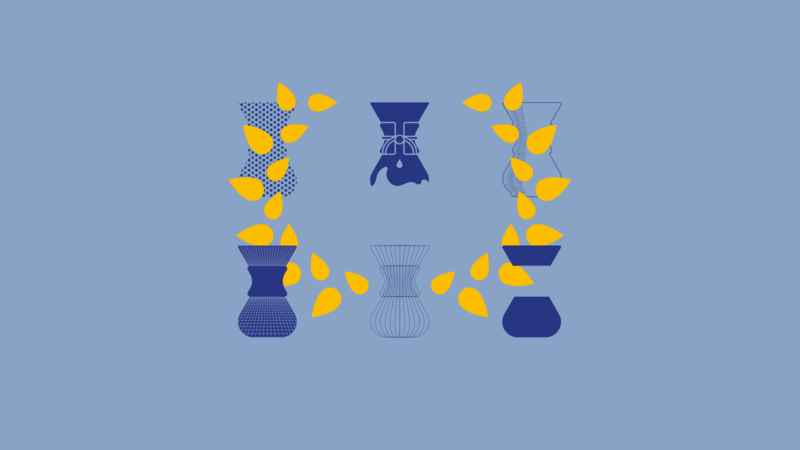 How does the Chemex Cup work? 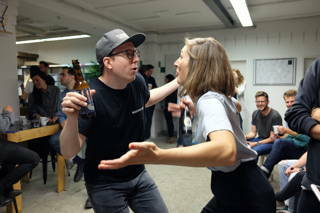 There will be 12 competitors and four rounds of brewing in total. 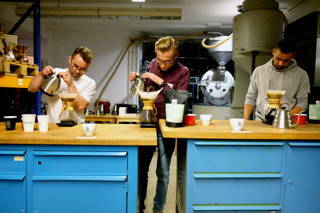 During the first three rounds, the competition will take place on two stages where three or four competitors are brewing against each other simultaneously. Each stage has their own jury. Both jurys come together for the final. 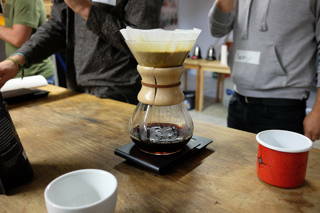 Every round consists of 15 minutes for brewing and 10 minutes for judging.  For practice, we will send out 350 g of a secret coffee. 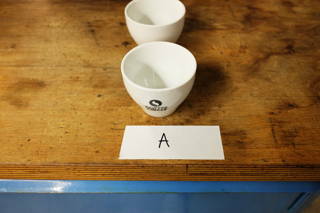 For the competition itself, we use the same coffee – roasted 7 days before the date of the Chemex Cup. It is necessary to bring your own Chemex coffeemaker: 3, 6, 8 or 10 cup. We will provide bleached filter papers and Hario kettles and scales as well as the following grinders: EK 43, Comandante and Vario Home. Feel free to bring your own hand grinder. We will use filtered water sponsored by Brita: 5°dH GH, 4°dH KH. It is also possible to use your own bottled water. We will provide a water boiler by The Bunn with access to pre-heated water up to 96°C. Additionally, it is possible to use Bonavita water boilers where you can set the water temperature manually.